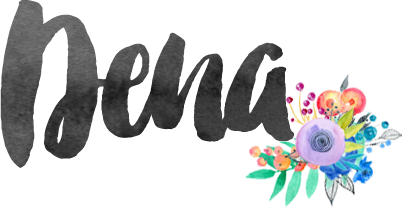 Welcome to the One Stamp At A Time Blog Hop!! I am so excited you are stopping by! Whether you are coming from Justin's blog or are just starting here, I am happy to welcome you to The Creativity Cave!! Our theme this month is Spring Has Sprung! I have to admit, I had a hard time deciding what to do--but the thing I love about spring is flowers and bright colors and of course, Easter. So that helped me decide on my projects! Plus there is nothing better than chocolate, right? I had bought several fun things for Easter a few days ago and I knew I wanted to do some kind of treat--what ever I didn't eat (I mean decorate) would go into the Easter Basket stash. I saw this adorable Ghiradelli Bunny and had to decorate it! I thought about a treat box or something, but it is big enough that I didn't really want to figure out something that way, but I thought it was so cute I should just tie a tag around it. I just used the Note Tag Punch and a couple of the flowers from the Itty Bitty Accents Punch Pack, and a sweet tag is born! The Card was super easy! I did a simple watercolor wash in Melon Mambo, Tangerine Tango, Daffodil Delight, Old Olive and Bermuda Bay inks on watercolor paper. I heat embossed the sentiment (from Grateful Bunch) in White Embossing Powder. To get the "splotches" I just flicked clean water on top of the watercolored background. Next I diecut a couple of butterflies in white and added them with the centers punched in Dazzling Diamonds Glimmer Paper using the Tree Builder Punch. Simple and cute! If you are dying to get your hands on some of this awesome stuff, please shop my online store! I so appreciate your business! When you order thorough me, you become a Creativity Cave VIP and there are fabulous perks for my VIP's! You can order your supplies from my online store by clicking on any of the photos below. When you do, please use the February 2016 hostess code, ZBXJAZAE, when your order is less than $150 (don't use it when it is over, you'll receive Stampin Rewards). Either way, when you order with me, you'll become a Creativity Cave VIP and receive all kinds of fabulous benefits! Find out more here on my VIP Rewards page I really appreciate your business and look forward to taking good care of you! Can't wait to welcome you into the VIP Rewards program!! I need your help!! Can you help support The Creativity Cave? If you need some supplies, please order from my online store! Your orders help keep the awesomeness coming on my blog and I would love to have you as a new VIP Rewards member!! I of course will take excellent care of you! Plus, as my husband tells me, I'm delightful! :) I really would love to help you become a master of all thing stamping! Also, if you like what I do here at The Creativity CAve, will you help get the word out? It is so hard to share my awesomeness to the masses on my own--I'd love it if you could help me! Share my post on your favorite Social Media Platform, Subscribe to my YouTube Channel, Like my FB page, follow me on Pinterest...I'm on all that social media stuff! :) And THANK YOU!! I love the kind words you share with me. I love hearing about what you like, and I especially like knowing that I made you smile! That is always my goal! MUAH!!! DSP Hoarder Bundles are available--and have been a huge hit! They are a great resource for using up all of your hoarded (you know you've got tons) Printed Papers. I've had a lot of great feedback on these bundles so make sure to check them out--Click on photo for more info! Dena Rekow - http://www.thecreativitycave.com/my_weblog/2016/03/osat-blog-hop-spring-has-sprung.html YOU ARE HERE!! !